Zeus, Zbot, or ZeuS is a Trojan horse malware that runs on all versions of Windows based OS. Even though it is capable of many malicious and criminal tasks, but is majorly executed to steal banking information, i.e., Banking id and password, credit card number – using the keystroke logging and form grabbing. What is “Zeus Virus detected" warning all about? The reason you are here reading this article is because your system might have given you a warning saying “Zeus Virus” detected or you might have heard about it in the recent news. So, is this warning real? Is your system infected with Zeus Virus? 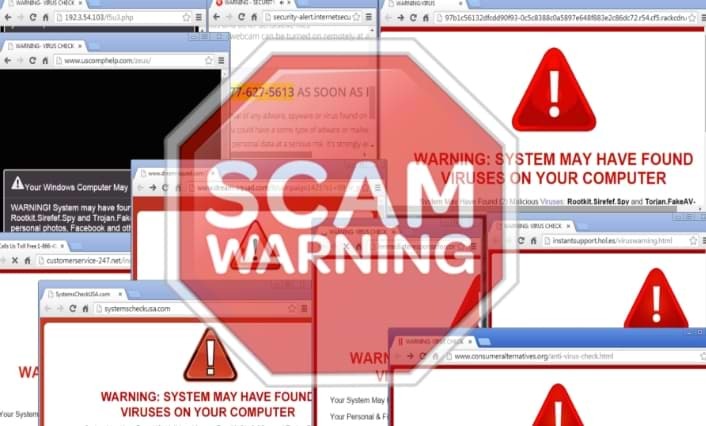 The “Zeus Virus” warning or popup is nothing but a tech support scam done while viewing an infected website or through a widespread malicious program called Adware. This campaign specifically targets Windows OS. Adware is particularly designed to make money. Once an Adware program has infected a computer, it would inject small codes into the pages which you visit very often like your banking account or any social media. This code will create numerous advertisement banners some may include fake security warnings like “Zeus Virus” or insert a sponsored ad on the pages you are viewing. Users are Provided with a Toll-free number +1-884-859-0337 asking to immediately contact Apple Care. They will then guide the user through the malware removal process by taking control of the user’s computer. But, what they really do is infect the system with some malware and change the system settings. 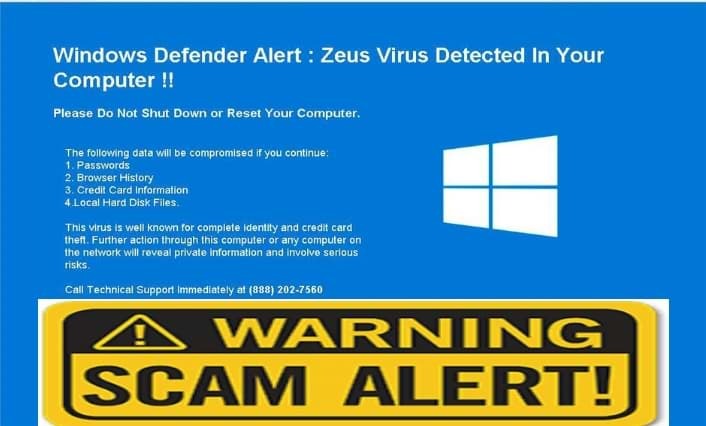 Beware the "Zeus Virus" error is nothing but a scam pop-up like any other advertisement pop-up, it has nothing to do with Apple. These technicians will claim to be Apple certified technicians and they will show the user how badly their system is messed up and by scaring the user they would trick the user into paying them for the fix. When computers are impacted by a browser hijacker it would make way for other malware and one of the very common malwares these days is Adware. Hackers can also infect a computer using freeware programs, this has become the easiest and quickest way of infecting a computer without the user’s consent. Whenever the victim tries to open anything he is been redirected to some random website which may either display advertisement banners or would give fake security warnings. Always pay attention while installing software as it comes with additional installs (optional) such as adware. Opt for custom installation always and deselect everything that doesn’t appear to be familiar. Especially, an optional software that you never intended to download. The instructions given below are purely for the Windows users. Use Malware Crusher to remove the "adware". 'Malware Crusher': is one of the best and most commonly used anti-malware software for Windows (obviously for 100 good reasons). Almost costing you nothing in comparison to other anti-malware software's, this tool is capable of removing various kind of mishaps on your machine. Follow the mentioned steps to scan and remove "adware" and other malicious programs from your computer completely. Once the update is finished, it will start scanning your computer from the detection of "adware" and other malicious programs. We believe now your system is free from "adware". In case, if you are still facing any issues, repeat the above-given steps to make sure your system is clean and free of infections.